Any Canadian living in the 21st century has heard of Alberta beef, but how many people’s dinner plates have benefited from the country’s recent bison renaissance? Bison were abundant in North America for around 10,000 years, and in 1800, there were over 60 million bison roaming the continent. The First Nations were deeply connected to the animal, relying on them for almost everything: food, clothing, tools, and more. By 1899, the arrival and settlement of European communities, the introduction of unsustainable hunting practices, and culling, the bison population fell to just under 1000. The presence of bison today is the result of a huge conservation effort throughout the 20th century. Ranchers and conservationists kept private herds and some herds were protected in national parks. There are now approximately 500,000 bison on the continent, with 240,000 of those being in Canada, and about half of those residing in Alberta. Bison populations are now stable and protected. On our drive through Northern BC, we ran into a pack of wild bison sunning near the highway, but kept our distance because anyone who has scoured YouTube for bison attack videos knows this is what you do. 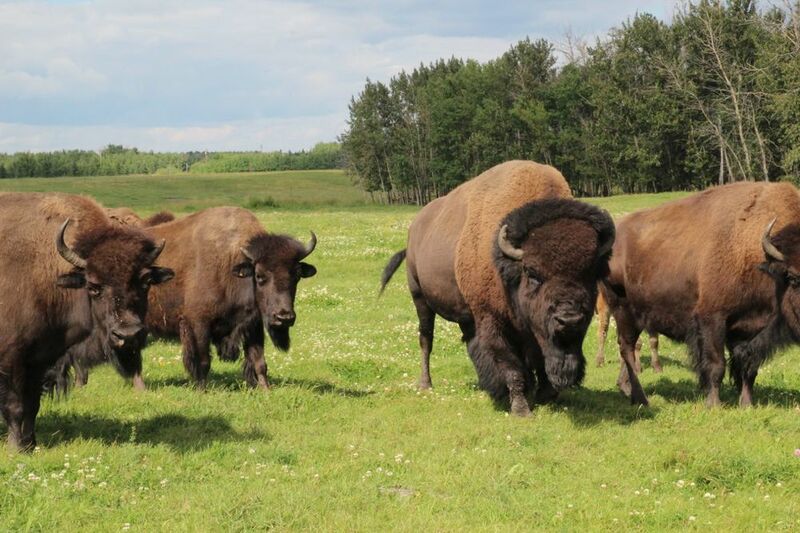 On a visit to Maple Hills Bison Farm, owned and operated by Gustav Janke just outside of Edmonton, we found ourselves planted within a herd of about 100 bison. I’ve been known to tremble before a horse. (I know, I know, a horse? But seriously, those animals KICK people!) I respect the space of wild animals, which is to say, I am reverently afraid of them. When we first got there, we drove way out into the middle of their field and were quickly surrounded. Bison may be wild, but their first instinct is not to attack. Gus explained that they are simply very curious animals, and will exhibit explicit warning signs if agitated: stomping, head shaking, and an upright tail. 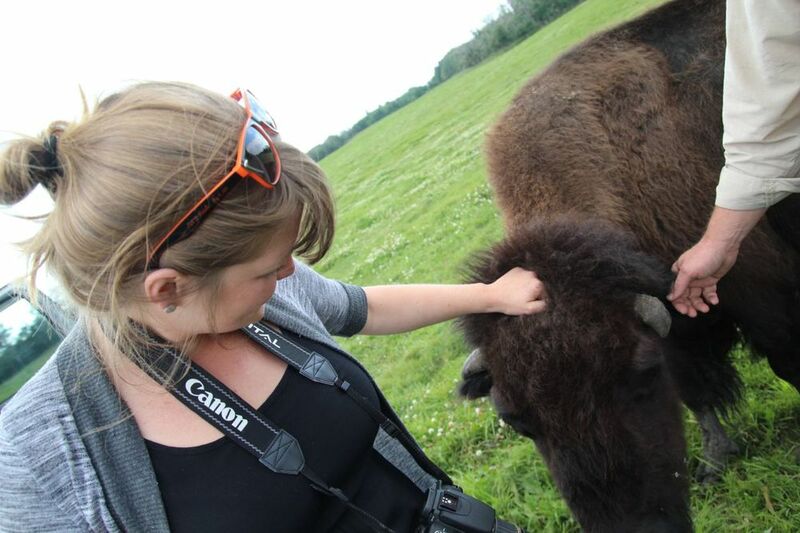 There was one tame bison that was bottle fed as a calf—he was a cuddly beast, sidling up beside me and even letting me give him a noogie. Everything about these beasts seems larger than life. They are the largest North American land mammals, their eyes are roughly the size of my fist, and they have incredibly thick shoulders, neck, and head, with lean back ends that make them look comically out of balance. At birth, they are roughly 40 pounds, and can run within an hour of hitting the ground. A herd of bison can run sustained speeds of 30 miles per hour, and jump a 5-foot fence both ease and grace. If you want to get a sense for just how big these beasts are, wrap yourself in a bison hide. Not only will you immediately start sweating, but you’ll look incredibly glamorous. 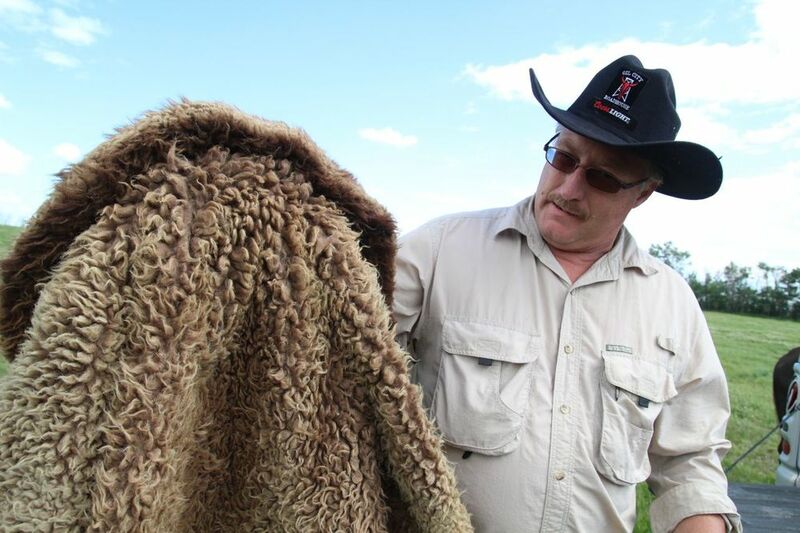 The hides are so warm, they were used to make coats worn by early RCMP on the prairies. There are certain advantages to raising bison over cows. They eat about two thirds less than cows and, because of their slower metabolisms, can break down food better, resulting in leaner meat. Because bison are hearty winter survivors, they don’t require any shelter or wind protection, as cows do. Bison are completely wild and independent beasts, built for survival. 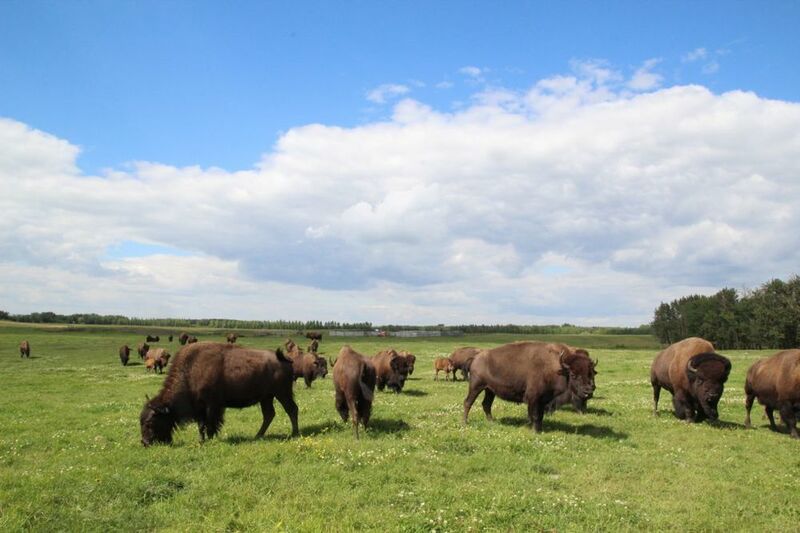 Maple Hills Bison Farm, in addition to raising bison on their natural diet, is also off the grid. The farm has an all-season, solar powered, automatic water pump system. 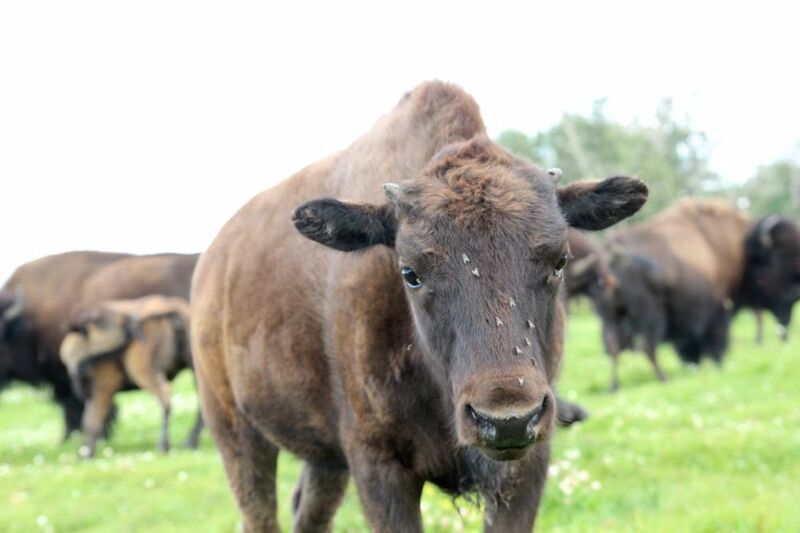 The bison are butchered and packaged just 42 miles from the farm, and distributed by Gus himself. Contact Gus directly at bisongus@live.ca to get your hands on the meat of one of Canada’s oldest (and biggest) heritage land beasts.